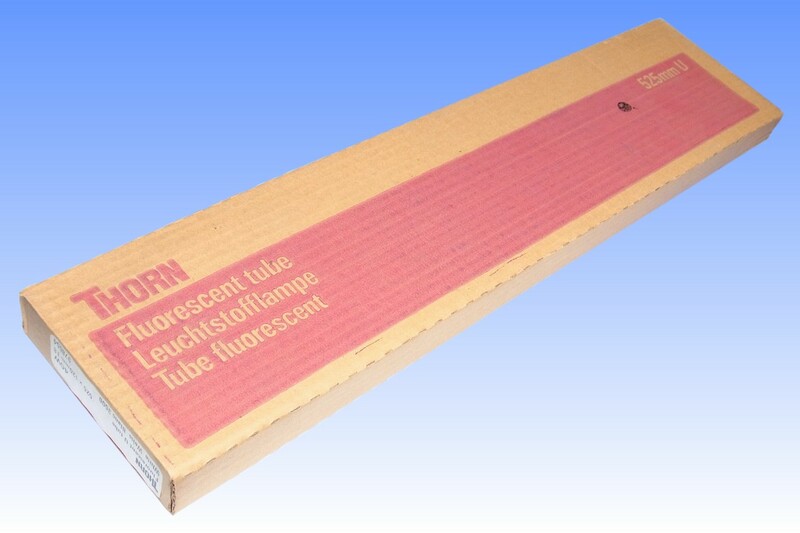 The 40W T8 U-shaped fluorescent tube was developed by Thorn Lighting in 1975, specifically to answer the desire of lighting designers for a high efficiency lamp to suit the newly standardised 600x600mm metric modular ceiling structures. 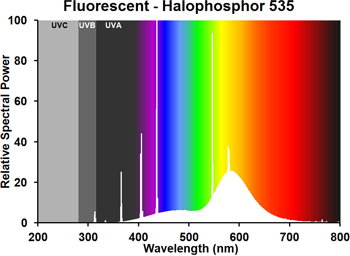 A few years earlier a metric 1050mm T12 tube had been developed, which when combined with the space needed for luminaire and lampholder, could fit into a 600x1200mm module. Due to its different electrical characteristics it was 11% less efficient than the regular 4' 40W tube and needed a new ballast, so it never proved particularly popular. 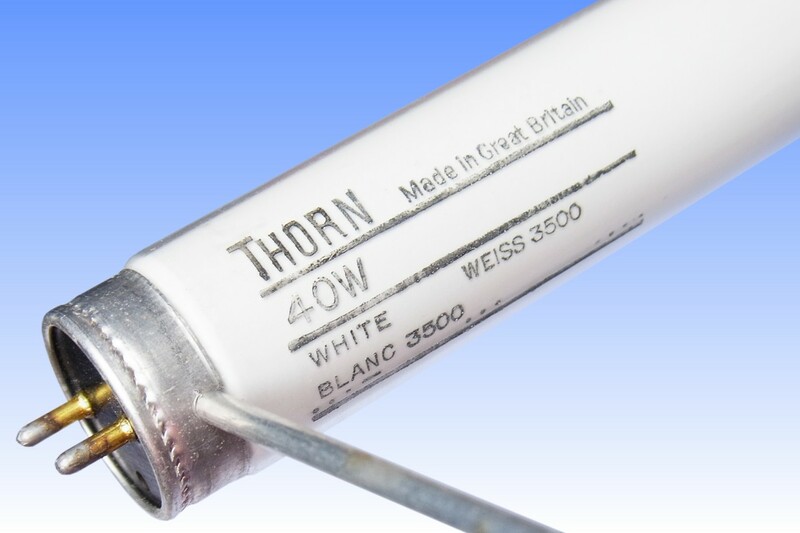 Thorn intelligently solved the problem by switching to a 1050mm T8 design, whose efficacy matched the old 4' tube and worked on the same ballast. The company then turned its attention to engineering a shorter lamp to fit a single 600x600mm module. 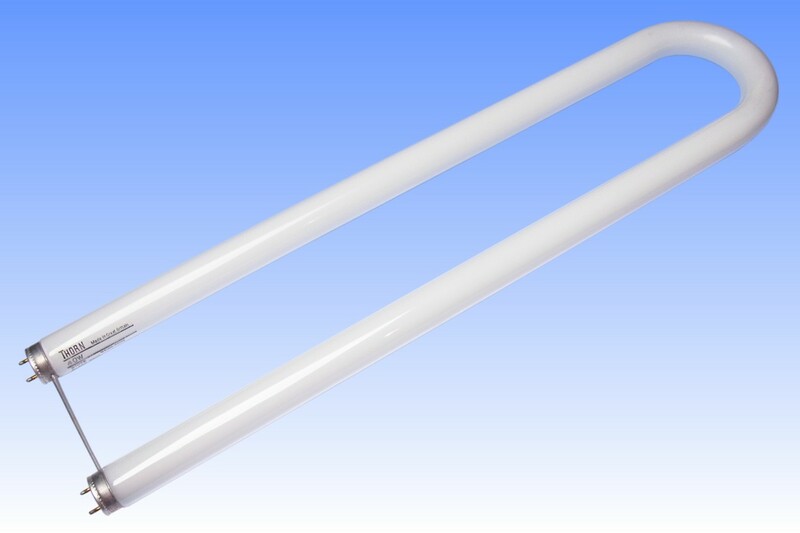 Short fluorescent tubes have never been especially popular because energy losses at the electrodes are virtually constant irrespective of tube length, so reduced length also means reduced efficacy. The U-tube was developed specifically to overcome this limitation. Original developments were simple folded 2', 4' and 5' tubes, however these remain slightly too long for a metric ceiling. Also their weight can be as much as four times the linear tubes they replace, because heavy-wall lead glass is needed to form a smooth bend in T12 tubing. 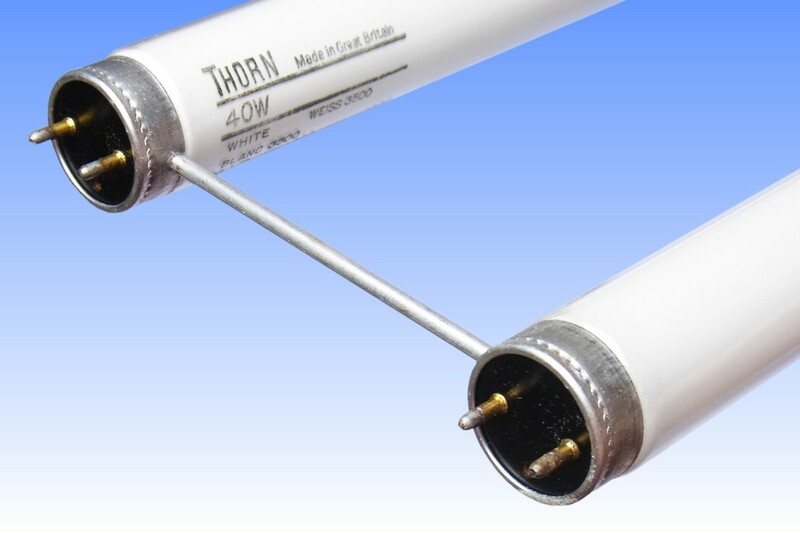 Thorn's innovation was to U-bend its 1050mm T8 tube to yield the 525x120mm lamp featured here, which is eminently suitable for a 600x600mm module whilst maintaining the high efficacy of the longer tubes. Thanks to its T8 design, it can also be folded without need for thick-walled lead glass, and as a result its mass is considerably less than earlier U-tubes.